Sha'baan is the eighth month of the Islamic Calendar. Literal meaning: Sha'baan means to spread and distribute. During this month blessings descend and the provisions and sustenance of man is distributed. Sha'baan is the month that comes between Rajab and Ramadhaan. There are many virtuous days with which Allah (swt) has blessed his prophet Mohammed (saw). He has promised us great reward for each and every virtuous deed, even if it be as small as removing something from a path way that may trouble others. Every day Allah (swt) through His love and mercy has allocated a specific time in which those who call unto Him are answered. He has set aside certain days in which mercy has no limits, to those who plead for it. From amongst the special times and days is the month of Sha'baan, in which each deed acted upon, is rewarded more generously by Allah (swt) than compared to any other day. 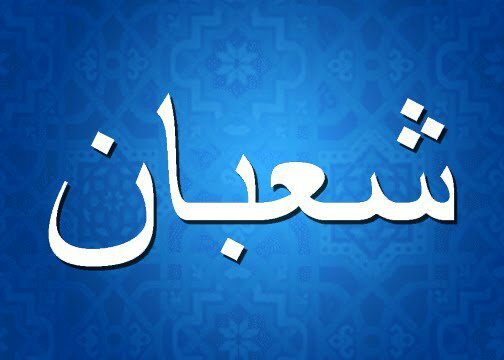 Why is Sha'baan important ? "There is a month between Rajab and Ramadan called Sha'baan, people are very ignorant towards this month, even though the reward of each deed is greater within it and the deeds are presented to Allah (swt)." (Imam Baihaqi reports this hadeeth in his kitaab Shuab-ul-Imaan). It has also been stated in the kitaab 'Daylami' that prophet Hazrat Mohammed(saw) proclaimed, "Sha'baan is my month." In another hadeeth Sayyedna Aa'isha(r.d.a) narrates that prophet Mohammed (saw) preferred to observe the fasts of Sha'baan thus uniting them with the fasts of Ramadan. From the above Ahaadeeth we learn the significance of Sha`ban and prophet Mohammed (saw)attachment to this blessed month. Aishah radhiallahu anhaa narrates: The Blessed Prophet (saw) fasted for so long [so many days] we thought he would never break his fast. Then he would do iftar (for so many days) we thought he will never fast. I have never seen the Blessed Prophet (saw) fast for a whole month besides the month of Ramadan and keep more fasts [outside of Ramadan] than in the month of Shabaan. People are ignorant of it, being between the months of Rajab and Ramadan. All deeds are raised towards Rabb ul Alameen in that month. Thus, I wish that my deeds are raised when I am fasting. Aisha radhiallahu anhaa narrates that I never saw the Blessed Prophet (saw) fast in any month more than the month of Shabaan. He used to fast the whole month except for some days; in fact, he used to fast the whole month (of Shabaan). Abu Huraira (ra) relates that Aisha radhiallahu anhaa narrated to them the hadith that the Blessed Prophet (saw) fasted the whole month of Shabaan. She said: I asked the Blessed Prophet (saw): Oh Blessed Prophet (saw), is Shabaan your most favorite month to fast? He replied: Allah (swt) assigns the year of death for each person (in the month of Shabaan), thus, I wish my death come when I am fasting.